You'll need to book North Era campground online if you plan to camp overnight here. It's a popular place so book well in advance, especially from October to March. You'll need to be well-prepared and bring enough water and food for the journey. If driving to Bundeena it's a good idea to stop by the Royal National Park Visitor Centre for park information and maps. The Coast track can be tackled in sections or, if you’re super-fit, in a day. It's best experienced as a 2-day backpack trip with an overnight stop at North Era campground (advance bookings required). 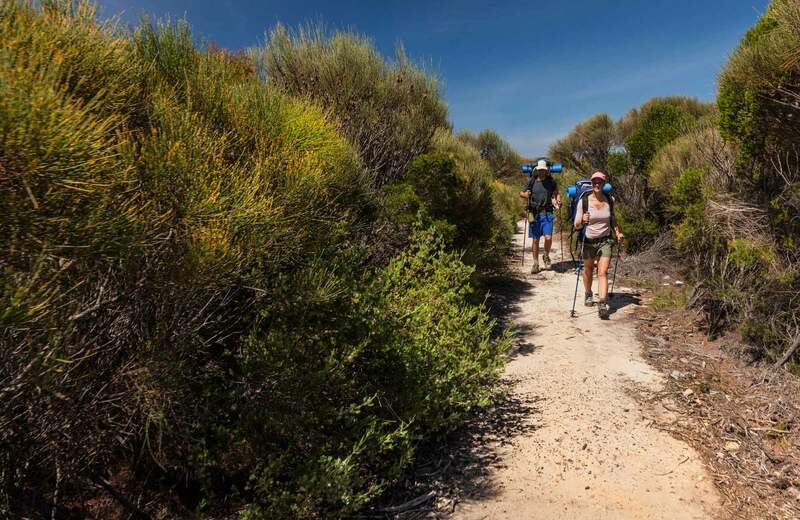 The northern section of the walk covers around 18km from Bundeena to North Era. Allow at least 7hrs to enjoy the rugged beauty of Royal National Park's sandstone escarpments, sandy beaches, coastal heath and forest, as you walk. There are several scenic stops along the way, including Little Marley Beach, Wattamolla, Curracurrang Cove near Eagle Rock lookout, and Garie Beach. Stop for a rest, have a picnic, or cool off with a swim, before continuing to North Era campground for the night. The southern section of the walk, between North Era and Otford lookout, covers 8km and takes around 3hrs. You'll pass several heritage shacks at South Era, and travel through coastal rainforest of burning palms and palm jungle. Why not stop at Burning Palms Beach, before climbing back atop the headlands. Take in the views from Werrong lookout then push on the last couple of kilometres to Otford lookout. Plan your walk during whale watching season, May to October, for a chance to spot migrating humpback whales. Take a virtual tour of The Coast track captured with Google Street View Trekker.